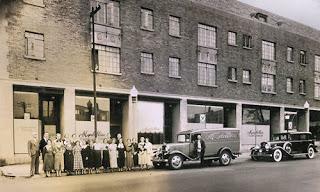 Although Tom Lyle knew that much of the company's success was due to his own daring eye for advertising combined with Emery and Arnold’s exceptional talents, he also knew that without Rags, Maybelline would simply not have been able to stay constantly at the top of the fast-growing cosmetics market. For his efforts, Rags was paid solely on a commission of one and one-quarter percent of gross sales, which had risen from $359,000 at the time of his employment in 1933 to its 1955 level of over $7,000,000 a year. 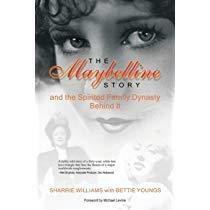 Knowing that this tremendous rise in sales was directly due to Rags relentleess work and devotion to the company, Tom Lyle decided to not only raise Rags' commission to one and one-half percent, but give him three percent of Maybelline’s stock. To seal the deal, Rags would also be made Executive Vice President in charge of Sales, positioning him as an equal with Tom Lyle and Tom Lyle, Jr. --in other words, as family. With Rags securely placed as a jewel in Maybelline’s crown, Tom Lyle could direct his next move on the cosmetics chessboard. Although he continued to target both the sophisticated, intelligent woman in her 30s and the more mature woman in his world-wide advertisements, as 1955 continued a new brand of female was emerging. This girl differed from both the World War II pin-up girl and Rosie the Riveter. Thanks to movies like East of Eden staringJames Dean, and Blackboard Jungle, featuring the song “Rock Around the Clock” by Bill Haley and the Comets, “The Rebel" had become the latest cultural icon. Maybelline sales soared as heavy make-up appeared in every teenage girl's purse. The era of teen marketing was born in Jacksonville, Florida, that year, when young girls jumped out of their seats to dance at an Elvis Presley concert--the first first musical riot on record.